I’ve said it before, there’s no shortage of dumb, parody comedies out there. But there is a shortage of GOOD dumb, parody comedies. The ones like Scary movie from the Wayans are ok, but have quite lost their magic already. There was a reason why I was really stoked and excited for This is the End since it had a lot of my favorite comedy actors in it. And I walked into the theater with high hopes. 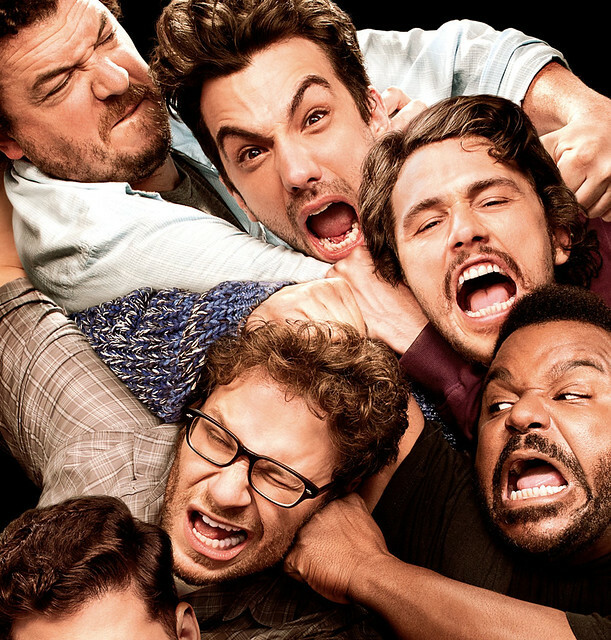 I watched a lot of movies by Seth Rogen, Jonah Hill, Jay Baruchel, James Franco, Craig Robinson, Danny Mcbride and the gang. The thing is that I was never disappointed in any of those movies. Knocked up, Pineapple express, Superbad, Your Highness, 21 Jump street, etc etc. All of these are good movies. Not critically acclaimed ones since those are for old people, but good and fun movies. So nothing made me more excited to watch this movie. A group of friends get together for a party when the biblical rupture suddenly happens. The world drastically changes and people start getting taken or “ruptured” to heaven. The people who didn’t get taken must then try to band together to survive. This is probably the best part about the movie. Everyone plays as themselves. Seth Rogen is Seth Rogen, Jonah Hill is Jonah Hill. The thing about these guys is that 4 out of 5 times, they play the same character in their movies. This is not a bad thing. If you want to see their other acting side then go watch those other movies like Spiderman for James Franco, Green Hornet for Seth Rogen, Django Unchained? for Jonah Hill? Maybe. And so on. Everyone plays as themselves and it’s awesome. If you know who these guys are, then get ready to see them play it out here. Just for your reference, imagine Seth Rogen, Jonah Hill, Jay Baruchel (the 4 friends. remember that Jason Siegel was the other guy) and Craig Robinson (the bouncer from the club) from Knocked up, James Franco from Pineapple express, Danny Mcbride from Your Highness. It’s great how these guys interact with each other. It’s just how I would imagine them to interact in real life. The pacing is great. there’s hardly a dull moment. It doesn’t leave a lot of storyline loopholes. everything seems to be explained well. for a comedy, they sure took their time to tell a good tale. I made some expectations earlier in the month on what will make me enjoy This is the End. Show a disclaimer at the start saying all characters are fictional etc etc… I think this would be hilarious if it were there Nope. If there was I might have missed it. Play as themselves. They pretty much play the same character in almost every movie they’re in. Some have done other personas, that’s fine. But I want their funny personas here! Yep. Just what I was expecting. Well ok, it's not their true selves in real life. but it's what you expect them to be. their funny selves. This is the End is one of the best movies I have seen this year. I have not laughed this hard while watching a movie in a long time. If you are not offended by a lot of green and phallic jokes then you’ll be fine. They have made a really good comedy movie here which I’m sure I’ll be watching again in the future. 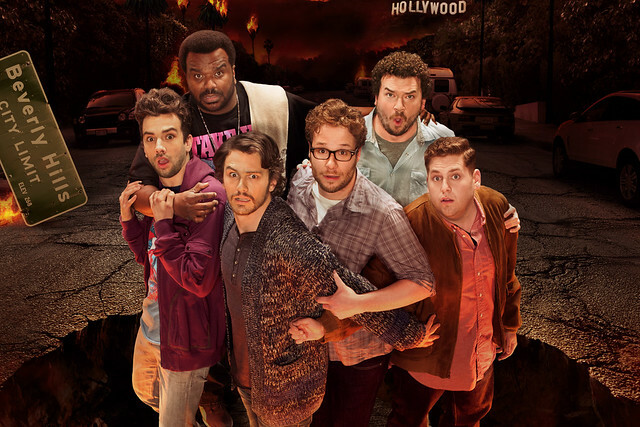 Distributed by Columbia Pictures, local office of Sony Pictures Releasing International, “This Is The End” is showing exclusively at Philippine Ayala Malls Cinemas nationwide.